Beginning this week (July 30, 2018), CREA will be adding school catchment areas to the neighbourhood info on REALTOR.ca. You will be able to find the catchment area by selecting a school name from the school list in the neighbourhood section of a listing advertisement on REALTOR.ca. 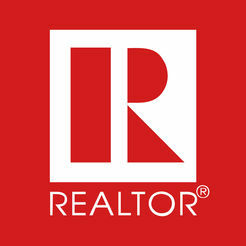 Catchment area is one of the most requested features for REALTOR.ca from both REALTORS® and consumers. This change will be rolled out over two releases; the Hamilton area is in the first release scheduled for the week of July 30. Toronto, Montreal, Vancouver, Calgary, Ottawa-Gatineau, Edmondton, Quebec, Winnipeg, Hamilton, Kitchener-Waterloo, London, St. Catharines-Niagara, Halifax, Oshawa, Victoria, Windsor, Saskatoon, Regina and Sherbrooke. St. John’s, Barrie, Kelowna, Abbotsford-Mission, Sudbury, Kingston, Saguenay, Trois-Rivieres, Guelph, Moncton, Brantford, Saint John, Peterborough, Thunder Bay, Lethbridge, Nanaimo, Kamloops, Belleville, Chatham-Ken, Fredericton, Chilliwack. Great addition to the site menu.